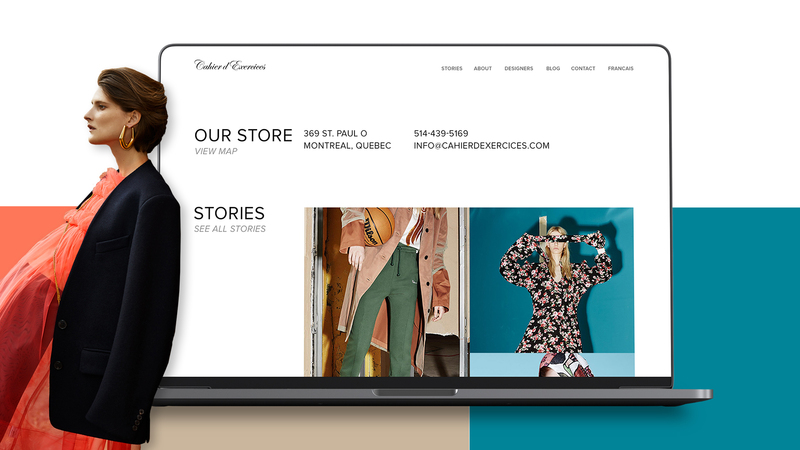 Cahier d’Exercices offers a wide selection of women’s clothing from high fashion and emerging designers. Located in the heart of Montreal’s Old Port, they have served clients for almost a decade. Face3 has been with Cahier d’Exercises right from its inception. 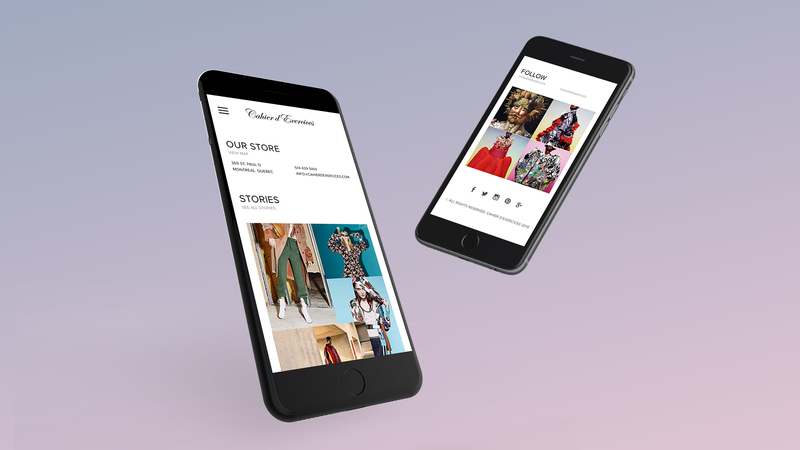 Since then, we’ve maintained a laser like focus on the brand’s unique designs and aesthetics – servicing both high end clientele, and giving an opportunity to showcase up and coming designers. The high end boutique industry has seen ups and downs, with changing trends. This is a constant challenge and we need to respond quickly to developments in the market and to changing tastes.